The Best Migraine blogs from thousands of top Migraine blogs in our index using search and social metrics. Data will be refreshed once a week. Philadelphia About Blog Migraine patient resources including symptoms, diagnosis, treatment, community, expert answers and daily articles. Facebook fans 141,606. Twitter followers 17,999. About Blog Welcome to MigraineAgain.com – an authentic wellness community of migraine warriors and headache sufferers. We come together to discover how to survive and thrive in this world despite frequent and chronic pain. Facebook fans 63,437. Twitter followers 11,285. San Francisco, CA About Blog A community of headache disease sufferers. Whether migraines, cluster headaches, or whatever head pain you experience. We support each other, and spread knowledge about our various conditions. Facebook fans 1,129,020. Twitter followers 495,612. About Blog Read the latest news & information concerning Migraine. Facebook fans 628,160. Twitter followers 43,492. Facebook fans n/a. Twitter followers 78,873. Facebook fans 650,808. Twitter followers 959,528. Facebook fans 266,778. Twitter followers 11,552. About Blog Stories by and about people who experience migraines and their advice for managing and living with this painful condition. Facebook fans 800,433. Twitter followers 40,129. About Blog Migraine symptoms, medications and treatment, causes of migraines, and migraine triggers. Connect with other Migraine sufferers and get support. Facebook fans 120,997. Twitter followers 15,488. About Blog NHF strives to further the awareness of headache and migraine as legitimate neurobiological diseases, and provide updates on headache research and news. Facebook fans 19,141. Twitter followers n/a. Facebook fans 13,508. Twitter followers 8,490. About Blog American Migraine Foundation is a non-profit foundation committed to making advancements in migraine disorders through research and ongoing studies. Facebook fans 54,967. Twitter followers 10,992. Houston, Texas About Blog Migraine Relief Center is a group of dedicated medical specialists whose only goal is finding the right treatment solution for you and your migraines. Facebook fans 12,204. Twitter followers 376. About Blog This Migraine Savvy Blog will keep you up to date on all things migraine. Find the right information at the right time. Get answers to the questions other migraine sufferers just like you are asking. Facebook fans 2,989. Twitter followers 563. About Blog MigrainePal is a community of informed migraineurs looking for medically referenced facts, better results and support from like minded people. Facebook fans 3,421. Twitter followers 1,259. Phoenix About Blog Migraines and chronic headaches are miserable. Every day I try to keep them from ruling (or ruining) my life. Some days it works. This blog is to share what I learn as I stumble along. From info about meds and triggers to getting out of bed and not blaming yourself -- and everything else headache sufferers should know but are in too much pain to ask. There's still hope! Facebook fans 2,948. Twitter followers 3,576. Facebook fans 8,996. Twitter followers 4,692. Facebook fans 11,091. Twitter followers 599. Ontario, Canada. About Blog Thoughts and information about the latest news in the world of migraine, cluster headache and other headache treatment around the world. Facebook fans 24,014. Twitter followers 5,205. Alabama About Blog I've been diagnosed with Fibromyalgia, Endometriosis, Hypothyroidism, TMJ, Migraines, and Cluster Headaches. I share my journey here in an attempt to educate and inspire others who are dealing with similar health issues. Facebook fans 8,548. Twitter followers 10,318. Facebook fans 2,746. Twitter followers 694. Leicester, England, UK About Blog Migraine Action is the leading support and advisory charity for people affected by migraine in the UK, whether individuals, families, employees or medics. We provide information, advice & research on migraine triggers, symptoms and treatments. Facebook fans 7,420. Twitter followers 4,798. Facebook fans 9,807. Twitter followers 1,936. TX, AZ, MI, TN About Blog Migraine Treatment Centers of America is an education, patient advocacy, research and marketing institution whose mission is to help people find relief from their debilitating pain. Facebook fans 27,900. Twitter followers 394. Atlanta, GA About Blog Ready for a migraine-free future? Mymigrainemiracle.com is your final stop for migraine relief...for good. Facebook fans 4,796. Twitter followers 258. Norwalk, CT About Blog Migraine got your head in a vice? Dr. Slovin's proven methods can drastically reduce and even eliminate your migraine symptoms. Facebook fans 672. Twitter followers 59. Facebook fans 231. Twitter followers n/a. Mississippi, USA About Blog The Headache Center in Ridgeland, Mississippi specializes in correctly diagnosing headache disorders and creating personalize treatment plans. Facebook fans 22,341. Twitter followers n/a. Shawnee, KS About Blog Tammy Rome is a headache disorders patient advocate and blogger, using her own experiences with migraine, cluster headache, and fibromyalgia to educate and empower others. As a masters-level therapist, she encourages others to adopt healthy coping strategies to manage the challenges of living with chronic pain and headache disorders. Facebook fans 191. Twitter followers 443. Facebook fans 1,423. Twitter followers 460. Yamunanagar, India About Blog Heal Your Migraine Naturally! Facebook fans n/a. Twitter followers 79. About Blog Migraine professional specializing in using a holistic approach with medicine and without side effects. Sydney, New South Wales About Blog Fast-acting all-natural migraine prevention and pain relief with outstanding results. Facebook fans 669. Twitter followers 33. Anchorage, AK 99515 About Blog The only Anchorage Chiropractors in town that specialize in Atlas Orthogonal adjustment technique. Facebook fans 3,639. Twitter followers 13. About Blog Migraine Stop is an all-natural, daily supplement for migraine relief that really works! About Blog Sick of suffering from headaches and migraines? Find a treatment option that suits you. Facebook fans 2,081. Twitter followers n/a. Santa Barbara About Blog Migraine Surgery of Southern California offers a leading headache surgery center to treat migraines and occipital neuralgia for patients in Los Angeles. Facebook fans 812. Twitter followers 4,190. St. Louis About Blog I am a married woman in my 30s who is living with chronic migraine pain and Fibromyalgia. Join me as I try to figure out how to live my best life despite the pain, fatigue and such. Facebook fans n/a. Twitter followers 1,767. Beverly Hills, CA About Blog Treatment Options Minimally Invasive Surgery Over the past decade, the treatment options for migraine sufferers have expanded to include cutting edge minimally invasive surgery. Facebook fans 659. Twitter followers 22. 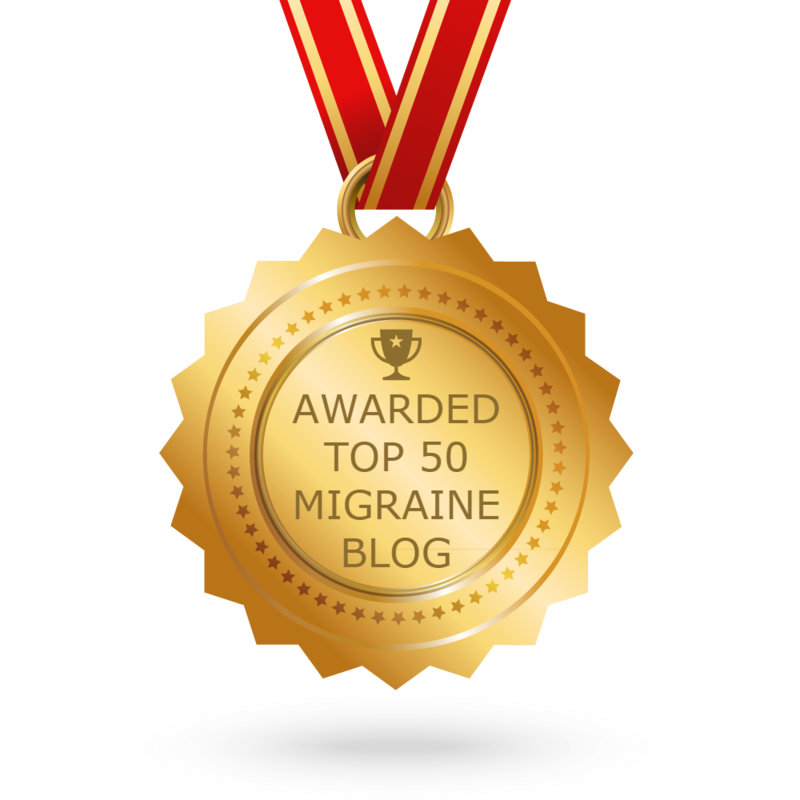 CONGRATULATIONS to every blogger that has made this Top Migraine Blogs list! This is the most comprehensive list of best Migraine blogs on the internet and I’m honoured to have you as part of this! I personally give you a high-five and want to thank you for your contribution to this world.